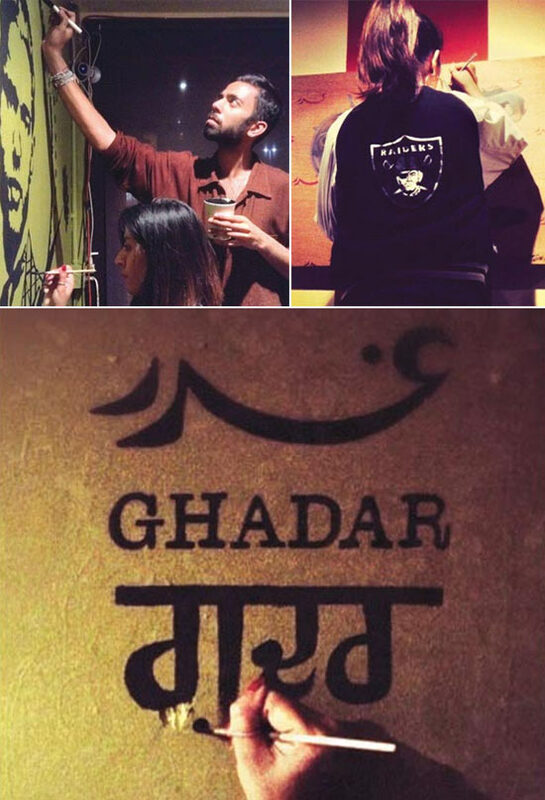 An art exhibition called Our Name is Rebel, at the Guerilla Cafe in Berkeley, California, celebrated the centenary of the Ghadar Party, the Indian Diaspora-led movement for India’s independence from British rule. The exhibition was organised by the curators of the Berkeley South Asian Radical History Walking Tour, which offers a monthly tour that explores the city’s little-known South Asian radical history. The show featured work by Bay Area-based artists Nisha Sembi and Amman Desai. Exhibits included paintings, linocuts, prints, and an indoor mural installation. Organisers Barnali Ghosh and Anirvan Chatterjee called it a historic exhibition, and said the name of the exhibition was picked from a poem by Ghadar Party hero Kartar Singh Sarabha. “These local histories do not have plaques to celebrate them, so we hope that by having a physical space in Berkeley, though temporary, it will help weave in these histories into the history of Berkeley,” Ghosh added. Chatterjee pointed out that Berkeley is home to over a century of radical organising by South Asian Americans. University of California-Berkeley students and other residents in the 1910s organised as part of the revolutionary Ghadar Party, founded in 1913. Sembi’s mural was of Ghadar hero Sarabha, who was a UC Berkeley student, poet, and freedom fighter, and who also inspired legendary figures of India’s independence movement like Bhagat Singh. Another artist, Amman Desai, unveiled his linocut image of Har Dayal, whose speeches inspired many Berkeley Ghadarites, and an intricate portrait of Kartar Dhillon, one of the few women members of the Ghadar Party, who went on to do a lifetime of labour, racial justice, and peace activism. Ghosh said Dhillon’s daughter Ayesha Gill, a respected activist in her own right, helped inaugurate the event and spoke about her mother and herself as an activist as well as how excited she is to see so many future activist in the area. The art show also includes pieces covering more recent histories, including Sembi’s painting celebrating Berkeley residents organising against the state of Emergency in India from 1975 to 1977, and Desai’s linocut of ‘Tinku’ Ali Ishtiaq, an early Bay Area South Asian LGBT and Palestine-solidarity activist. Is US safe for Indian students? Diplomat says YES!